Europe's aviation market witnessed enormous upheaval in 2017. Ryanair was arguably centre-stage, first with its September admission that it had mismanaged its pilot rosters. That resulted in the carrier cancelling thousands of flights and grounding aircraft into 2018 as it sought to fix the problem. But it also unleashed a push for what eventually be a dramatic change at the 32-year-old airline, with its landmark decision this month to recognise unions. 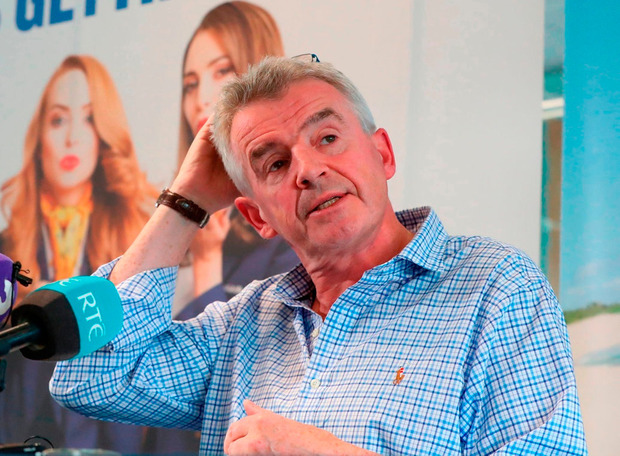 It was a major U-turn from the entrenched position that Ryanair and CEO Michael O'Leary had clung onto for decades: that union recognition would never happen at the airline. In September, the threats to its 4,200 pilots began as it became evident they were agitating for change. "I don't even know how there would be industrial action in Ryanair," Mr O'Leary said that month following the airline's annual general meeting at its Dublin headquarters. "There isn't a union in Ryanair. There has been no demand for new contracts." He added that any pilots who engage in industrial action such could "kiss goodbye" to pay increases. He insisted it wasn't a threat. "We'd never threaten our pilots," he said. "We have some goodies to discuss with pilots, but if pilots misbehave, that will be the end of discussion on goodies. I don't think that would be construed as a threat." But as its pilots became increasingly organised, it was apparent there was a real desire among large numbers of them for change. The rostering failure wasn't the result of just some administrative challenge - it unmasked a significant problem Ryanair had with retaining pilots. As Ryanair intensified efforts to keep a lid on the fallout, it also canned efforts to acquire part of the failed Italian flag carrier Alitalia. Meanwhile, the pilots methodically plotted their strategy, creating Ryanair company councils under the auspices of unions around Europe, ensuring that any industrial action they might take was legally watertight. The acrimony from the Ryanair side intensified, as a newly-formed pilot group sought to engage with the airline. 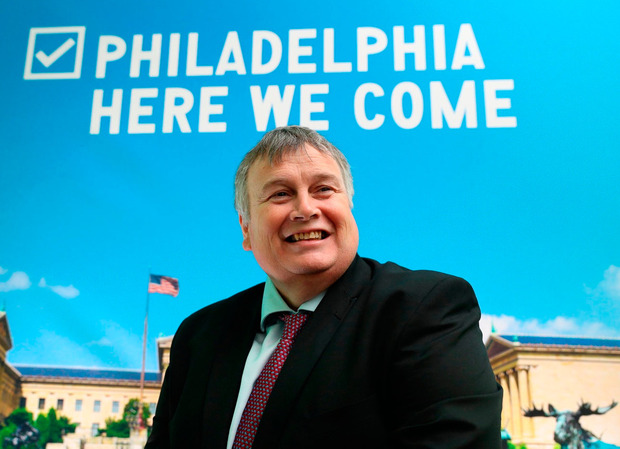 Former Ryanair executive, Peter Bellew, who had been working as CEO of Malaysia Airlines, returned to the Dublin-based carrier as chief operations officer. He was tasked with sorting out the pilot rostering mess and getting things generally back on track. In December, the Irish Independent revealed Mr Bellew's own damning take on how the Ryanair culture had broken. Speaking to Ryanair pilots at London Stansted, its biggest base, the day before the airline announced it would recognise unions, he said the tone at the carrier had become "miserable", even at head office. He described a litany of administrative failures at the company, which he said had contributed to the rock-bottom morale and the September rostering crisis that prompted a demand from pilots for collective bargaining rights and better working conditions. "It seems that there was a culture that people who knew there was a problem ... that they were not listened to, or they were actively discouraged from even raising the issue any further," he said. "Basic, basic, basic things that had been operated here for many years just were thrown in the basement." The culture was one where pilots could not even get answers in many cases to simple requests, he admitted. "Everywhere I turned, I could see that people were asking for small things to be done and they just weren't getting done," added Mr Bellew. "Or, not only were they not getting done, they were getting told: 'P**s off, leave me alone; I don't want to know about this'." He acknowledged that retaining pilots was his key priority for now. In an interview with Reuters just two days after the Irish Independent revealed those comments, Mr O'Leary insisted the idea to recognise unions had been his. Staff Ryanair pilots in Dublin who are members of the Irish Airline Pilots' Association had announced they would strike for 24 hours on December 20. Pilots in Portugal and Germany were set to follow suit. In Italy, a strike was also planned. Then on December 15, Ryanair announced that it would recognise unions. The first talks have been held between Ryanair management and unions in what is going to be a turbulent flight path. Meanwhile, Aer Lingus, now part of the IAG group that owns British Airways, Iberia and Vueling, continued its transatlantic expansion. It added new long-haul A330s, and opened or announced routes to Miami, Philadelphia and Seattle. In October, Aer Lingus chief operating officer Mike Rutter said it will take delivery of eight Airbus A321LR long-range aircraft between 2019 and 2020. These will be used to further bolster its transatlantic network, and will add 700 jobs at the airline. In November, Aer Lingus CEO Stephen Kavanagh said that it has no plans to rejoin the Oneworld alliance of leading airlines. "We believe… that we can bring more choice to the market place and grow in connected businesses without compromising any of our existing businesses or the consumer," he said. "We're about building cost efficiency and capacity." Aer Lingus and other carriers also saw transatlantic competition intensify with the launch of Norwegian Air's low-cost routes from Ireland to the United States. There had been intense opposition from politicians and airlines in the United States to the launch of the services, and the granting of Dublin-based Norwegian Air International (NAI, a unit of Norwegian Air Shuttle), the necessary permit to operate between Ireland and the US. "Low-cost transatlantic is coming. So why stop it?" the CEO of NAI, Tore Jenssen, told the Irish Independent in June. "Try to make yourself more efficient instead of doing like the Americans do and trying to stop this for whatever it's worth," he said. "They know it's coming, but they try to stop it and milk the market for as long as they can. All they can do is slow it down because it is coming." 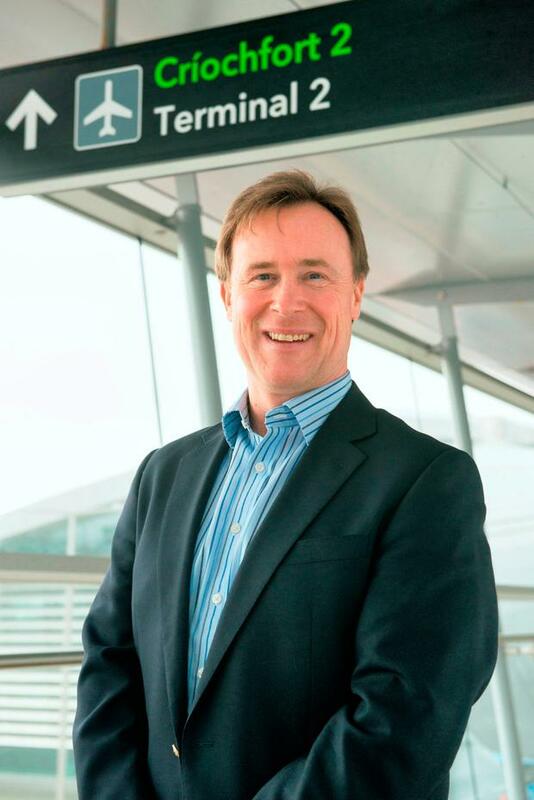 Elsewhere in aviation circles, the Dublin Airport Authority's CEO, Kevin Toland, left to become CEO of troubled Swiss-Irish food group Aryzta. He was succeeded by Dalton Philips, the former boss of British supermarket chain Morrisons. Mr Philips, a native of Co Wicklow, is also a former Brown Thomas CEO. In January, Eamonn Brennan, the exiting chief executive of the Irish Aviation Authority (IAA), takes over as the new director general of Eurocontrol - the intergovernmental organisation responsible for the development of air traffic management across Europe. Mr Brennan's likely successor was tipped to come from inside the IAA. Peter Kearney, its director of air traffic management and strategy, and Ralph James, its director of safety regulation, were seen as the leading contenders to succeed Mr Brennan. And with Brexit now just over a year away, just how the UK will fit into the EU's open skies is a huge question that remains unresolved. Without a deal being sealed, it's possible in a worst-case scenario that there could be no flights operating between the EU and the UK for a period of weeks after Brexit happens. It would have a calamitous impact on passengers and airlines. This year also saw the collapse of Air Berlin, as Gulf carrier Etihad said it could no longer provide financial support to the German airline. Etihad's failed strategy of taking stakes in European and other carriers put the airline under significant pressure. It was also a major shareholder in Alitalia, but was also no longer able to keep propping up that carrier, which went into administration in May. Etihad's long-time CEO, Australian James Hogan, was succeeded in September this year by Tony Douglas, the former head of Abu Dhabi Airports. 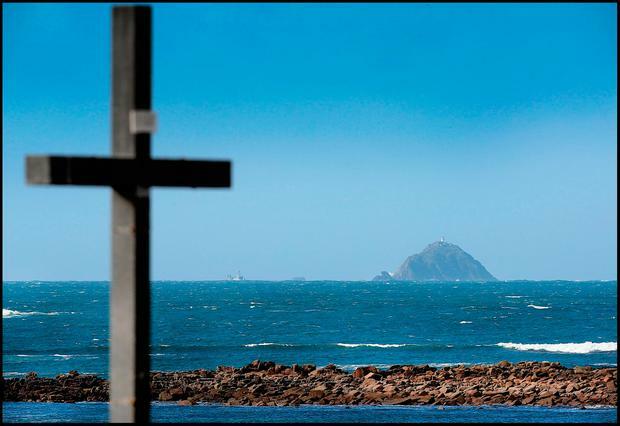 At home, 2017 will also be remembered for the devastating crash of Rescue 116. The Sikorsky S-92A, which was operated for the Irish Coast Guard by the Irish unit of Canadian firm CHC, was destroyed on impact with Blackrock, a small island off the west coast, during a mission. The last words recorded by the helicopter's flight recorder were: "We're gone." Captain Dara Fitzpatrick, Captain Mark Duffy, winchman Ciarán Smith and winchman Paul Ormsby were all killed in the accident.